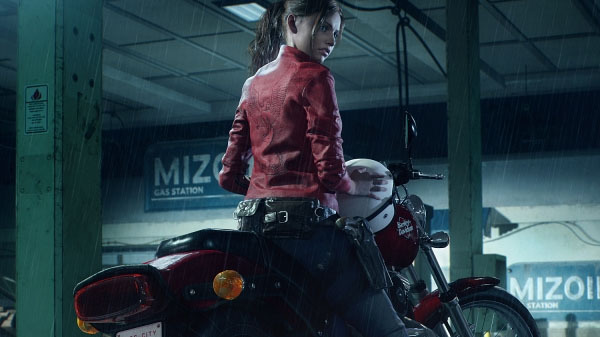 Claire rolls up in Raccoon City. 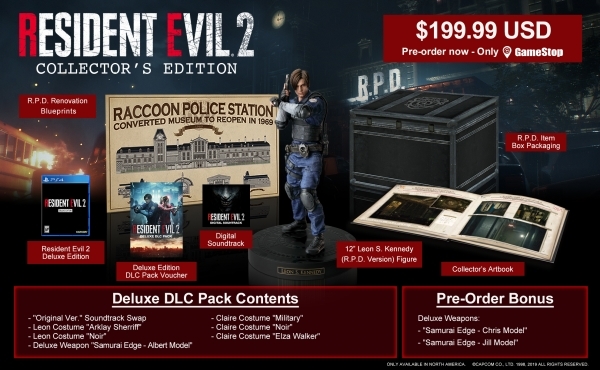 Capcom shared new information on its Resident Evil 2 remake during San Diego Comic-Con 2018, including the announcement of a GameStop and EB Games-exclusive collector’s edition for North America and the reveal of the game’s box art. Leon’s younger look in Resident Evil 2. Compared to later entries, the goal was to give him more of a fresh-faced rookie look in contrast to the hero that he becomes later on in the series. 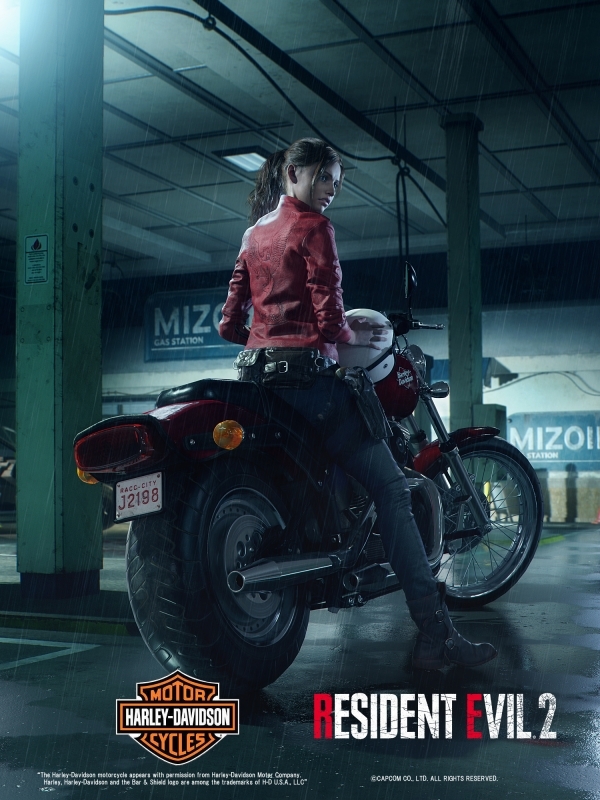 Famous for having one of the worst first days on the job in history (they cancelled his welcoming party and everything), a lot of thought was put into how Leon’s new, yet classic, look would work with modern photorealistic graphics. As a result, the team created a physical version of Leon’s costume, using photogrammetry technology to scan his clothes into the game and added minor details and changes afterwards. For the city itself, the team put a major focus on two concepts that permeate throughout the game: A sense of wetness, and playing off a fear of the dark. Using the powerful RE Engine, the team has been able to achieve their goal of creating a sense of dread through these visual cues. 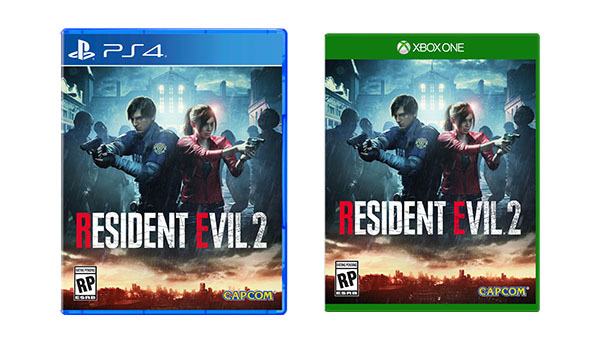 The events of Resident Evil 2 take place on a rainy day in Raccoon City, causing puddles and flooding in parts of the city, while others areas are covered in the grotesque aftermath of clashes with the undead and other terrors lurking in the gloom. View the above images in high-res at the gallery.